Staples announced in February 2015 that it had reached an agreement to purchase rival office supplies store Office Depot in a deal valued around $6.3 billion. The regulatory road to closing the deal has been peppered with potholes and now that a judge has weighed in, the two sides are calling it quits. In December, the two companies ran into a major hurdle by the name of the Federal Trade Commission. The FTC believed a merger would reduce competition for office supplies sold to large companies and thus, filed a request for a preliminary injunction to block the acquisition. U.S. District Judge Emmet Sullivan recently sided with the FTC and blocked the deal, bringing an official end to the merger. Roland Smith, Office Depot chairman and CEO, said they are respectful of the court’s decision to grant the FTC’s request for a preliminary injunction but are disappointed by the outcome and strongly believe that a merger would have benefitted all of its customers in the long term. Ron Sargent, Staples chairman and chief executive officer, said they are extremely disappointed that the FTC’s request for preliminary injunction was granted despite the fact that it failed to define the relevant market correctly and fell woefully short of proving its case. Both companies vowed to terminate the merger agreement effective May 16 and forego appealing the ruling. 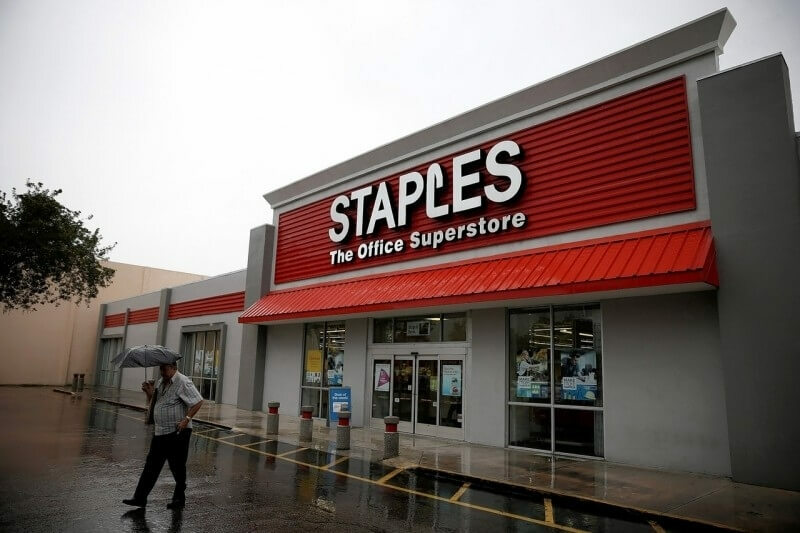 A clause in the original agreement stated that if regulators blocked the merger, Staples would be forced to pay Office Depot $250 million. Share value in Office Depot is down nearly 40 percent on the news while Staples stock has dropped more than 15 percent.